Since 2005, Tsebelu Kuma has served as NMI’s construction project manager and has accumulated extensive experience in construction administration. Mr. Kuma is responsible for the planning, budgeting and supervision of all of NMI’s major construction projects as well as long term capital needs planning for the entire NMI portfolio. 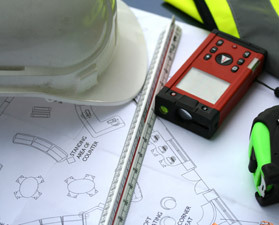 Those responsibilities (duties) include documentation and analysis of existing conditions, site development, specification writing, cost estimating and bidding, design and direct supervision of all contract documents, contract negotiations, project scheduling, sequencing of construction activities, direct coordination with sub-contractors and consultants, coordinating field inspections and construction administration. Before joining New Market Investors, Mr. Kuma was a project manager and workforce coordinator for a prominent DC-based community development corporation in U.S.A and a project manager for an industrial project in Addis Ababa, Ethiopia. His responsibilities included construction administration, contractor relations, draw administration, and governmental regulation compliance. Mr. Kuma holds a M.S in Real Estate Infrastructure from The Johns Hopkins University, a B.Sc in Civil Engineering from Addis Ababa University and he is also a certified Design Technology/AUTOCAD engineer.